Here’s a lovely little video I just found of Bill Fick (see earlier post here) making and printing a linocut. It shows the process from start to finish. I’m very jealous of his lovely studio and especially that electric press!! 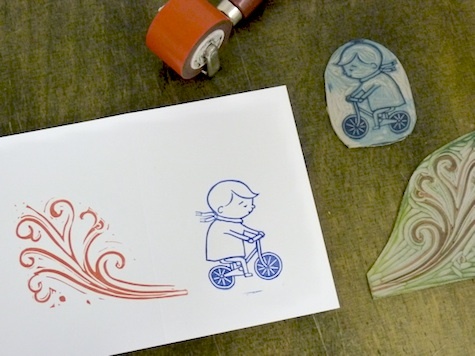 Anatomy of a Linocut by Bill Fick from Jim Haverkamp on Vimeo.